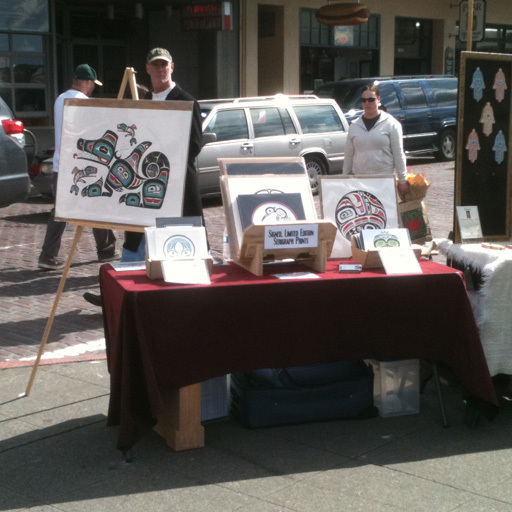 We started selling at Pike Place Market in December right before Christmas. It has been a bit of a rough start with a very rainy, cold spring but we are really looking forward to the summer and what it will bring. I started with my prints and art cards but we also started offering matted prints to fill the gap between the cards and larger prints.